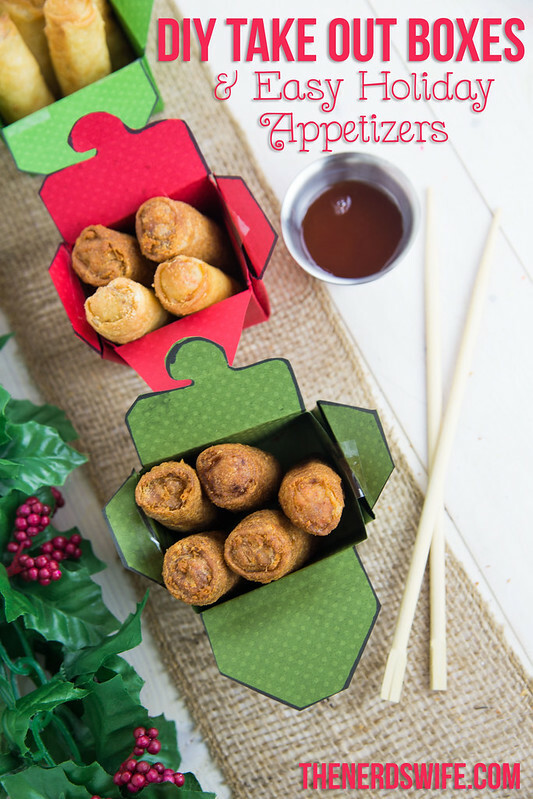 One of my favorite holiday movies is A Christmas Story, so I’ve put together a fun holiday party plan based on the Asian Christmas dinner that they had in the movie. 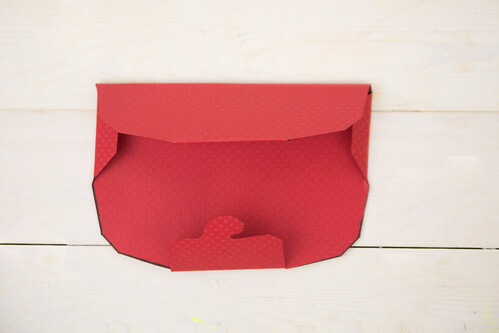 And these DIY Take Out Boxes are the perfect way to serve your appetizers! 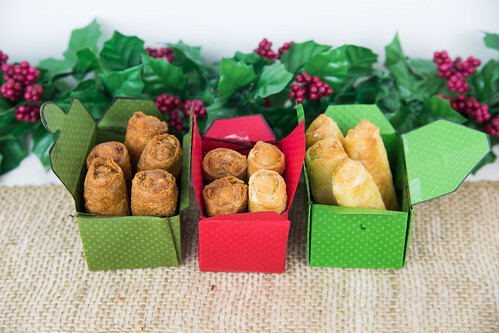 I’m all about easy, so I picked up some Tai Pei Egg Rolls and Spring Rolls from Walmart to serve as appetizers. 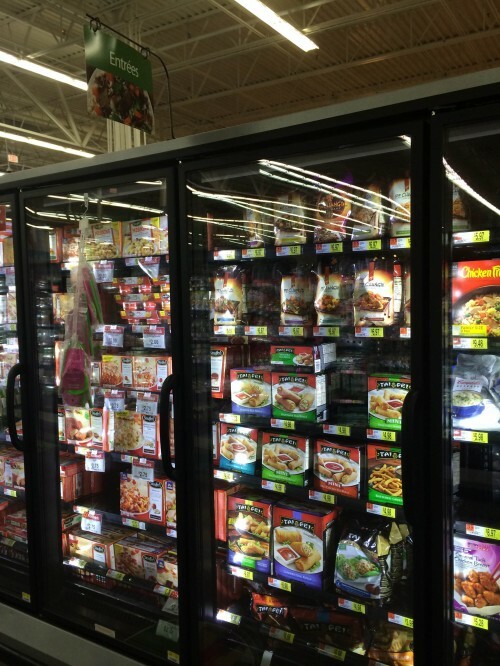 They feature delicious crispy wrappers, fresh cut veggies, and hearty chicken, pork or shrimp. A specially-seasoned dip is included, so all you have to do is bake them and they’re ready to serve! Ready to pick some up? Check out this Ibotta rebate offer that runs through 12/31. 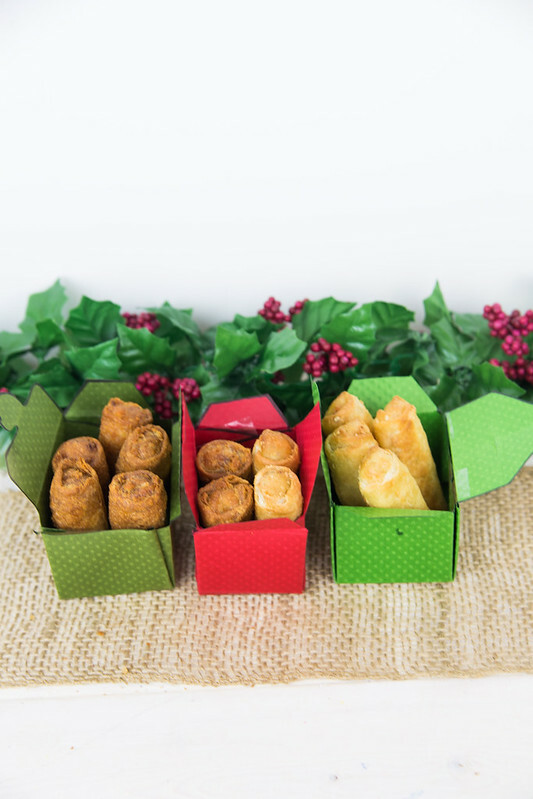 We served Mini Vegetable Spring Rolls and Mini Spicy Chicken Egg Rolls, since our DIY Take Out Boxes are smaller sized. 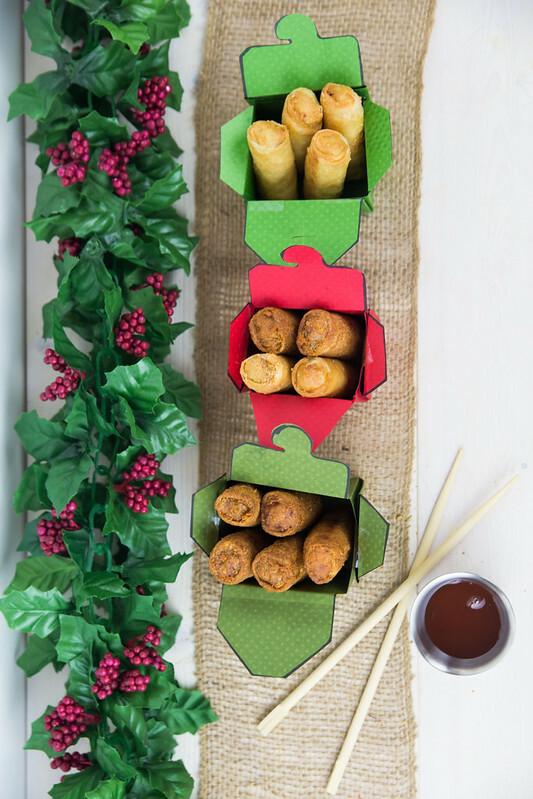 Have your own Asian Holiday Party inspired by A Christmas Story! Check out these A Christmas Story Party Ideas for decoration ideas and more! 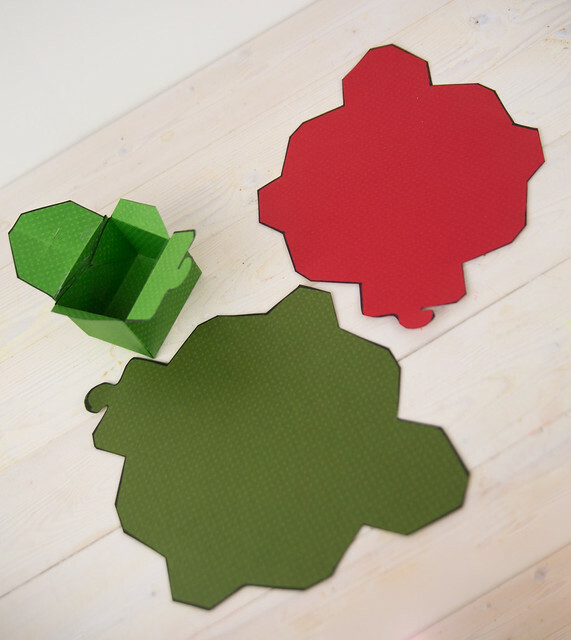 Cut out your template and trace it onto the cardstock. Then cut it out. 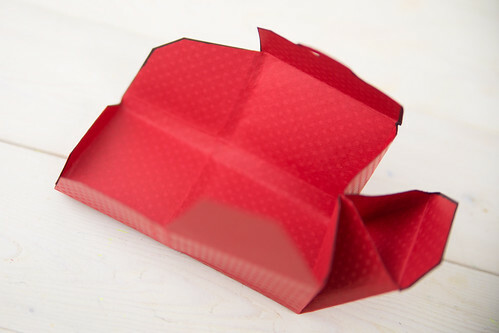 Fold each side of the template along the dotted lines. 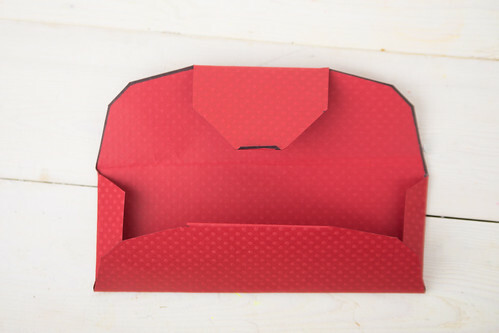 Bring each side of the box together and crease it so that it folds inward. 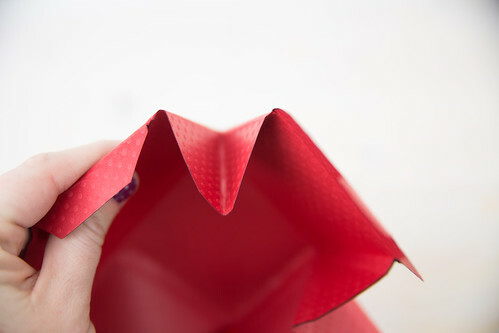 Tape the folds together to create sides the sides.